Referring to a yoga center with the caveat: "it's not-for-profit" often carries with it an assumption of merit. Given the humanitarian and universal nature of yoga, taking the profit motive out of the business model seems ideal. However, a further examination of the trade-offs involved in opening both for-profit and not-for-profit yoga centers challenges this assumption. Full disclosure: I own and operate a for-profit yoga center. I made my living as a independently contracted yoga teacher for more than ten years before I managed to secure an SBA Community Express Loan and opened a place of my own five years ago. I estimate that, over the years, approximately 35% of the yoga teaching I have done has been for no money. Building a viable income through teaching yoga requires investment and offering pro bono services is integral to that process. But if that investment had never led to paid work then I would not have been able to continue teaching as I did or be in the position I am now to offer opportunities to others. The problem with not-for-profit business models for yoga centers is that yoga teachers don't get paid. There are those who say that taking money for teaching yoga is inappropriate. They feel that the rising costs of attending yoga classes are making yoga less accessible and attribute this to yoga teachers and centers making a profit. What most folks don't realize is that, actually, there is not much profit in for-profit yoga classes. As explained in Yoga, Business and Government, the profits that fuel the multi-billion dollar yoga industry are going to corporations that capitalize on "yoga-related" products more than actual yoga classes. The rising cost of yoga classes can almost entirely be attributed to the rising costs of commercial real estate. This is evidenced by the growing number of not-for-profit and by-donation yoga centers that, as time goes on, end up having to institute a "suggested donation" in order to continue to exist. The hard reality is that if you live in a popular place where the rents tend to be higher, and you want to have a proper yoga center in your neighborhood, then it's going to cost more than taking that class on the sticky floor at the YMCA. And where yoga teachers are not being compensated for the work they do at not-for-profit yoga centers, there is still the possibility that someone is taking home a paycheck. 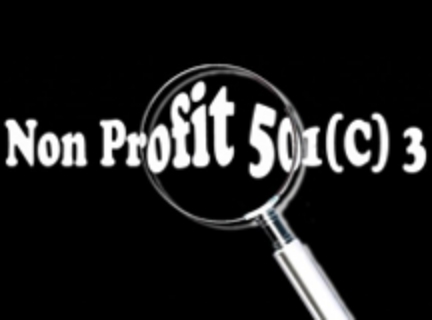 501c3 organizations do sometimes provide salaries for founders and administrators and, depending on the size and filing of the organization, this information is not always readily available. Not to diminish the good work being done by thoughtful people who create and administrate not-for-profit yoga centers or the humble teachers who donate their time, but if the goal is to provide a service of yoga instruction to the public then we need models that will be able to support the growth and work of the people who provide the service, not just the venues that they inhabit. Those who believe that yoga is being corrupted by capitalism also tend to complain about too many unqualified yoga teachers. There is no greater obstacle to becoming a highly skilled yoga teacher then having to work at an unrelated job to pay rent and eat. Surely, there are many fine part-time and volunteer yoga teachers to be found. But, by any objective metric, those who have become the most knowledgeable and esteemed in the profession of yoga have been able to support themselves financially through their teaching. If we want the benefit of talented yoga teachers then there needs to be a way for them to sustain themselves as yoga teachers. Having recently finished negotiations on a lease renewal for my yoga center, I was shocked at how much the rent increased. I have an excellent relationship with the landlord. The rent has been paid on time every month. Since the standard practice for commercial real estate, despite the waning economy, has been to raise the rent 3% annually, I did not expect the rent to go up more than 5-10% this year. When I did the research I learned that, even with a steep increase of 15%, my landlord is still giving me a good deal that is below the going rate per square footage for the neighborhood. Unfortunately, relationships and good deeds are worth only so much when it comes to the bottom-line business of commercial real estate. For the first time since we opened, I have to slightly increase prices in order to keep pace and maintain the status quo of the centers operations. The extra proceeds will go entirely to the increased rent. Pay for teachers remains the same. Although I am the center's owner and senior teacher, my income will not change in the least. Securing enough funding and volunteer teachers to create not-for-profit yoga centers that offer yoga classes for little or no money is a positive thing, to be encouraged and supported. However, there is nothing intrinsically more honorable about a not-for-profit structure when the reality is that as regards the maturation of yoga instruction, it is unsustainable.